It’s worth trying to identify some of the confusions that have arisen in the controversy over the action of the normally mild-mannered Home Secretary, Alan Johnson, in dismissing Professor David Nutt from his post as chairman of the Advisory Council on the Misuse of Drugs (ACMD) after the Professor repeated his criticism of the government’s decision to move cannabis into a classification category for more dangerous drugs. The advice from the ACMD has consistently been that on the scientific evidence, cannabis is a much less dangerous drug than alcohol and tobacco, that it should not be in the same category (category B) as significantly more dangerous drugs such as amphetamines and barbiturates, and that it should be in category C. This advice was accepted by David Blunkett when home secretary, and cannabis was duly downgraded to C. As possession of category C drugs was not then an arrestable offence, this resulted in a perceptible decrease in time-wasting and unnecessary drug-related arrests. But the reclassification was (predictably) attacked by the more reactionary tabloids and a cynical Opposition as evidence that the government was ‘soft on drugs’, so ministers hit on the wizard wheeze of making possession of all illegal drugs arrestable, regardless of category, thus negating the main benefit of the decision to reclassify cannabis. However, the classifying of cannabis as a category C drug, because it is demonstrably less dangerous than the category B drugs, continued to rankle with the bone-headed and puritannical, and when Gordon Brown became prime minister, he ordered that cannabis be restored to category B, thus countermanding the considered and often reaffirmed advice of the Advisory Council in general and Professor Nutt in particular. So much for the background. As usual, the argument is beset by confusions. Here is a representative sample. 1. The Home Secretary has sacked Professor Nutt on the grounds that he could not be the government’s principal adviser on drugs and simultaneously “campaign” against the government’s drugs policy. But the allegation of impropriety involved in a government ‘adviser’ publicly criticising government policy in the area of his advice seems unsustainable. Professor Nutt is not a civil servant nor even a government employee. The Advisory Council which he chaired until sacked is described in the official home office website as “an independent expert body” (emphasis added); its independence is fatally undermined if all its 30 or so members, all leading experts in the various fields, can’t comment publicly on any aspect of drugs policy unless they adhere to the government’s line, even when they disagree with it. Professor Nutt was a part-time Chair of the Council and unpaid. He should have been free to say what he liked. If he criticised government drug policy, as he did, the government’s response should have been to answer his and the Council’s criticism by setting out publicly its reasons for disagreeing with the advice of the Council and the scientific evidence on which that advice was based. …keep under review the situation [regarding] drugs which are … or appear to them likely to be misused and … capable of having harmful effects [amounting to] a social problem, and to give [Ministers] advice on measures … which in the opinion of the Council ought to be taken for preventing the misuse of such drugs or dealing with social problems connected with their misuse, and in particular on measures which in the opinion of the Council, ought to be taken. But the matter in dispute primarily, almost indeed exclusively, concerns the Council’s analysis of scientific factual evidence regarding the potential ill effects of various drugs, and which are more or less harmful than others. Of course this has policy implications, but it’s obviously the case that the Council is better equipped by its expertise in various fields to assemble and analyse the factual evidence of the harm done by different drugs than ministers or their civil servants. If ministers decide to adopt policies which imply a rejection of that expert analysis of facts, as they have done, it’s incumbent on them to explain publicly the basis on which they have rejected it. 3. Alan Johnson observes, also correctly, that there are reputable scientists, some of whom he has named, who disagree with the analysis by his Advisory Council of the evidence regarding the relative harmfulness of cannabis and other drugs. But if ministers are going to cherry-pick which scientific advice they are going to accept, even if it conflicts with the advice of the scientists whom they have picked out to advise them as members of the Advisory Council that they have appointed, there seems little point in having officially selected advisers at all. By seeking out opinions which contradict the findings of their own officially selected experts, the government lays itself open to the suspicion that it is choosing the advice to fit its pre-determined policies, instead of getting the best available advice and only then formulating policies based on it. 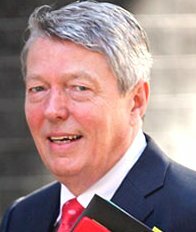 Do I hear echoes of the Attorney-General, in the run-up to the attack on Iraq in 2003, casting around for a legal authority willing to devise a legal justification for the attack, when the overwhelming consensus among international law specialists (including the Foreign Office’s own legal advisers) was that any attack without UN authority would be illegal? 4. Johnson and his supporters (including, for example, the irrepressible Ann Widdecombe in today’s Guardian) argue that the decision on which category to put cannabis in should take into account other factors besides the question of how much harm cannabis use is liable to cause relative to other drugs in categories B and C, the issue on which the Advisory Council has provided its evidence. The other factors, ministers argue, should include a judgement on the “message” that leaving cannabis in a low-risk category sends to the public, and especially to vulnerable young people open to the temptation to use illegal drugs. Johnson argues either that the message which the downgrading of cannabis sends out is not a matter on which the Council is any better equipped to express a view than politiciaans, or alternatively that it’s outside the Council’s competence; and in either case, that the Council has failed to take this factor into account. But this is a self-defeating argument. It’s generally known that the main criterion for placing a drug in a particular category is how harmful its use is likely to be; if the bulk of the scientific evidence is that cannabis should be in the category of least harmful drugs, then that’s where it should be. Of course that will be interpreted as “sending a message” that cannabis is less harmful than most other drugs. But it’s the fact that cannabis is less harmful that sends the message, not placing it in category C. It seems that Johnson (and Gordon Brown) don’t believe that we, the citizens, can be trusted with the truth about cannabis, and that for our own safety, so that we shall not be led into temptation, they try to deceive us into thinking that cannabis is more dangerous than in fact it is. This is plainly indefensible. 5. Underlying all this is the uncomfortable truth that the overall policy on drugs, Prohibition, is a disastrous failure. The attempt to stamp out the supply, possession and use of cannabis, cocaine and heroin has been almost wholly counter-productive. There has been a relentless rise in supply, possession and use. Convictions for cannabis possession in 1982 numbered 14,856; in 1998, 40,119; nearly 70,000 in 1999; and the rise has continued since then. The position is no better in the US: In the year 2000, 626,042 Americans were arrested for simple possession of cannabis; 872,721 in 2007. Hundreds of thousands of people in both countries are criminalised by their occasional use of recreational drugs, and some of those people’s lives are ruined forever by a criminal conviction and imprisonment; yet the great majority are unharmed by occasional use of soft drugs, certainly compared with the risk of harm from alcohol and tobacco. Because cannabis is illegal, its users mostly get it from criminal drug peddlars who also supply hard drugs, those whose use is much more risky; so criminalisation much increases the likelihood that some cannabis users will move on to harder drugs at some stage. Prohibition drives up the price of even relatively harmless drugs, thereby also increasing the incidence of drug-related assaults and muggings. Prohibition has much the same ill effects as the ill-fated prohibition of alcohol had in the United States from 1919 to 1933. It does far more harm than good. But any admission that drug prohibition is a failure is strictly taboo for a government which is more frightened of being labelled ‘soft on drugs’ than of continuing an obviously flawed policy of prohibition. It is ultimately this untenable anomaly that has led the current Home Secretary, amiable fellow though he seems to be (except when angrily denouncing Professor Nutt on Sky News, purple in the face with barely rational rage), into the hopeless mess that he now finds himself in. Those of us who are or have been public servants responsible for formulating policy and giving policy advice to ministers are familiar with the occasional problems that arise over recommendations, factual material and policy advice received from experts. Some is invaluable; some extraordinarily blinkered. Experts are contemptuous of amateurs — officials, politicians — who reject their advice, and who apparently think they know better than the experts in the field. Sometimes you disregard the expert advice because it fails to take account of factors outside the experts’ field, or is obviously politically or otherwise slanted. Sometimes you know that you disregard it at your peril. The Home Secretary and those who advise him should have recognised immediately that the Advisory Council’s advice on the relative harmlessness of cannabis was in the latter category. Alan Johnson has been a front runner in the undeclared race to succeed Gordon Brown as leader of the Labour Party. Seeing him on television aggressively attacking the dissident Professor, having acted so impetuously to get rid of him, apparently without proper consideration or consultation, obviously having lost his rag, deploying a simplistic defence in a complex controversy, makes one wonder whether this hitherto genial figure is leadership material after all. After serving with David Nutt on the 2000 Police Foundation report on the drug laws, I concluded that he knew more about the harm drugs do to the body than everyone in Westminster or Whitehall put together. I also realised that the public was not silly. It would accept a reform of the law (according to opinion polls) if politicians would give a lead. They would not, not even the wretched Liberal Democrats who flirted with reform in the Nineties. Nicely put. I’ve had some respect for Alan Johnson in the past, possibly because of his Old Labour background, but his conduct in this affair has been both politically disgraceful and bewilderingly irrational. Perhaps Nutt is a bit forthright as scientists go, but he’s an expert in his field – and it’s his field that he’s commented on. Brian writes: Thanks, Phil. I agree about Alan Johnson. Before reading your comment, I had added a final paragraph suggesting that his performance over this issue must raise a question-mark over his suitability to succeed Gordon Brown, if not as prime minister then at any rate as leader of the Labour party. On a point of information, please: is the cannabis variety known as ‘skunk’ as harmful as some would appear to claim (e.g. Dr Marta di Forti of the Institute of Psychiatry, see Sarah Boseley’s report in The Guardian, 3 July 2008) and does it necessarily follow that it could or should belong in a separate category from other forms of cannabis? [Try Googling ‘Cannabis+skunk’.] In the Mental Health Act appeal panels on which I regularly sit, a high proportion of patients turn out to be (or to have been) cannabis addicts. Incidentally, I’ve never sat on a panel to consider a patient whose presence on a psychiatric ward has been attributed to nicotine; to alcohol, yes, but usually in combination with illicit substances. Brian writes: I’m afraid I lack the experience or expertise to answer your question, Clive. I don’t think it’s ever been suggested that tobacco abuse causes psychiatric problems, but even quite moderate smoking is evidently associated with significantly raised cancer and other health risks, and the experts seem to be agreed that more harm is done by tobacco and alcohol than by ordinary cannabis. However, no-one, AFAIK, claims that cannabis never does anyone any harm, although those at greatest risk from cannabis use seem to be those who already have other underlying pysychological problems. ‘More harm is done by tobacco and alcohol than by ordinary cannabis.’ [I note carefully the word ‘ordinary’.] Anyway, is it? Are we talking of psychiatric harm or physical harm? Aren’t we confusing apples with pears? How does one make a valid quantitative comparison, both in terms of intake and of the quite discrete harmful consequences? And isn’t it, surely, as Theognis and Pindar urged, a question of ‘nothing in excess’? Meanwhile, the skunk debate (apparently unresolved, despite Nutt’s utterances) might be what Alan Johnson could desperately cling to in an attempt to justify himself (though I don’t hold out much hope). Clive – as I understand it there are stronger strains of marijuana out there than there were 20-30 years ago, but it’s very hard to draw a line round any one strain of cannabis and call it ‘skunk’. Moreover, the differential which has emerged from testing is a factor of 2 or 3, rather than the 10-20x figures which are often quoted. In any case, 20-30 years ago it was much more common to smoke (imported) hashish than (homegrown) marijuana, and a tobacco+hashish joint can be made pretty much as strong as you want it to be. What’s changed, I think, is simply that cannabis is available to – and accepted by – ten or fifty times as many people as it was when I was at school. Let’s say (continuing with the figures plucked out of the air) that for any given population of cannabis users, 5% are problem users – in the sense that using the drug stops them living a normal life – and 1% have psychological problems as a result of problem use. Multiply the population by a factor of 10 or 50, and the group with psychological problems will tend to grow at the same rate. Many thanks, Phil, especially for your very helpful opening paragraph. I still feel that Joe Public needs to be reassured that there is not some virulent strain of cannabis that merits inclusion in Category B. Despite Professor Nutt’s public statements – which he surely ought to amplify with convincing test data – there is a lingering suspicion that such virulent forms can be produced. We need much more than airy references to equestrian activity. One of the luxuries of blogging — and you acknowledge this in one of your responses here, (confessing to your own lack of knowledge) — is that one can write about things one knows next to nothing about. Alan Johnson was quite right to sack Professor Nutt, not because of his personal views about cannabis or ecstasy or any other drug but because Professor Nutt was actively campaigning against government policy, this was incompatible with his role. In a radio broadcast in New Zealand, before becoming ACMD Chairman, he had tinkered with legalisation. (Still available to be Googled for). If he felt so strongly he should surely have resigned, vacated the Chair or absented himself from the vote. Since his dismissal he has in my view, misrepresented the arguments, misrepresented the unanimity of the ACMD around cannabis and has ignored some of the science that was presented at the hearing, in a most profoundly unscientific way. The Professor has represented the classification of cannabis as a simple black or white issue-absolutely clear cut, this is a gross falsity and again, profoundly unscientific. The re-classification to B was a marginal call with government taking a precautionary route. HMG were receiving contradictory messages on cannabis harms and the developing science showed that cannabis, especially some forms, is much more potentially harmful than has historically been thought (even when we had it at B for all those years). The stunned reaction of Professor Nutt when it was put to him on BBC News 24, that the ACMD had not been unanimous, bears witness to his selectivity. His confusion I thought very telling. I was present at the ACMD open meeting on cannabis and heard all the evidence presented. The clearest call for the re classification of cannabis came from the government’s own Director of Mental Health Professor Appleby. (Not something Professor Nutt told the public in his recent utterances). There was a blatant attempt to rig the evidence at the ACMD hearing with the importation of a notorious cannabis legaliser from Australia, Professor Simon Lenton. I have established that this was at UK government expense. Did Professor Nutt organise this? Surely a legitimate question? Simon Lenton wants to change the UN conventions I discovered by speaking to him afterwards. Professor Nutt was not the Chairman at the time of the latest cannabis review, that role was then filled by Sir Michael Rawlins, so Professor Nutt’s personal view carried no more weight than any other ACMD member. When he became Chairman we had a right to expect him to adequately and maturely represent the full range of views, not just his own, from his important official position. We had a right to expect balance. We do not know the figures for the vote on classification but we do know it was not unanimous. We do know now,because she has spoken out, that the GP representative, who sees the effects of cannnabis on the front line, did not agree with Professor Nutt. We do know now, because he said it recently on the BBC Radio 4 World at One, that Professsor Robin Murray (who really IS an expert on cannabis) accuses Professor Nutt of playing “fast & loose” with the statistics. We do know, because several speakers at the ACMD hearing mentioned it, that there is an issue about the ratio of THC to CBD in some forms of modern cannabis. We were told that CBD may be an anti psychotic, we were told that some strains of cannabis have little or no CBD and a THC content considerably higher than has historically been the case. So what exactly were government to do? Contradictory messages, developing science showing cannabis more harmful than thought, mental health issues and their own advisor on that, implying downgrading had been a mistake. and younger persons. Total use in the UK has broadened and deepened. 13 year old boys particularly, using cannabis on the way to school, at school and on the way home, become unteachable, never reach their human potential with one in 4, according to the science, especially vulnerable to serious mental troubles. These kids become what was recently know as “Blair’s Feral Youth”. Government understands that. Professor Nutt seems content to ignore it. It is incontrovertible fact that the Government has had real doubts about the downgrading, driven through by David Blunkett against much of the developing evidence of harms. Blunkett refused to see several eminent scientists opposing the downgrading and it had to be whipped through the Commons. Professor Nutt is now campaigning, along with a few other extremists, for drug classification to be decided by scientists acting alone, in a body with freedom like the Bank of England. The spurious scientific accuracy in Professor Nutt’s world will plainly ignore the views of anyone else. In fact, by even calling for this the Professor is downgrading the opinions, expertise and efforts of all those other hard working members of the ACMD. Perhaps it is no concidence that Professor Nutt in the Telegraph on Friday last spoke of inventing a replacement for alcohol. In Professor Nutt’s Brave New World, society will move to using a drug he invents, no doubt supplied by one of the pharmceutical companies with which he is so closely linked. Maybe he will call it “soma”? My last comment is upon you praying in aid Sir Simon Jenkins for bulling up Professor Nutt. Do you understand the history? Would it not be wise to make an effort before making such comments? Jenkins has pushed liberalisation of cannabis for years. Only two weeks after Blunkett announced to the Home Affairs Select Committee that he was “minded” to downgrade cannabis (astonishing when he had only been Home Secretary for a few weeks), Jenkins was saying in The Times that Blunkett looked like a potential leader of the Labour Party. Good judgement? Hardly. Jenkins knighthood came a short time later. One definition of a cynic is, a man with a memory. Brian writes: David, this is indeed a thought-provoking comment, and one to be treated with considerable respect, coming as it does from “a former HM Customs investigation officer, and a member of the International Task Force on Strategic Drug Policy” who is also an active and articulate campaigner against the decriminalisation of drugs; but nevertheless there are things in your comment whose implications I don’t accept, including in particular your impugning of the motives of anyone who favours decriminalising drug use. As you rightly point out, I have no personal expertise on the subject of the comparative harm done by the use of different drugs. But my post doesn’t seek to address the argument about how harmful cannabis is in relation to (e.g.) amphetamines and barbiturates, or even compared with alcohol or tobacco. It isn’t even primarily about whether cannabis should be decriminalised, although I agree that this is indirectly relevant to the dispute between the home secretary and Professor Nutt. It’s about whether Alan Johnson was right to dismiss Professor Nutt and about the justification or lack of it for the action of the home secretary in rejecting without explanation his official advisers’ arguments for re-classifying cannabis to class C as a relatively less harmful drug than those in class B. On the published record, which is all most of us have to go by, the collective view of the Advisory Council was that cannabis belongs in class C. If you know that some members of the Council dissented from that majority view, it seems likely that the home secretary knows that too, whether or not Nutt reported this explicitly to him. It’s obvious from the reactions of other Council members that most supported Nutt both on the classification of cannabis and on his right to express his and the Council’s majority view on the subject publicly. Several members of the Council have either resigned in protest at Nutt’s dismissal, or have expressed the intention of doing so; some are waiting until Johnson has met the Council to discuss the issues raised. 1. Was Nutt ‘campaigning’ against the government’s policy decision to put cannabis back in class B? This was the principal, indeed almost the only, ground cited by Johnson for sacking Nutt. I agree with the bulk of media commentators, or at any rate those whom I have read and heard, that he was not. His main alleged offence was to deliver an academic lecture affirming his and the Council’s formal view that cannabis belonged, on the balance of the scientific evidence, in class C, and questioning the basis for the government’s decision to reject that view. I don’t believe that constituted ‘campaigning against the government’, unless all questioning of government policy is to be categorised as ‘campaigning’. 2. Was Nutt’s public expression of his and the Council’s opinion, based on a scrutiny of the scientific evidence, incompatible with his role as unpaid, part-time Chairman of a government advisory council? Johnson says it was. That seems to me an unsustainable view. If eminent (or other) scientists invited to give independent advice to ministers have to accept a ban on public expression of their professional opinions if these are in conflict with actions or policies of government, no self-respecting scientist will accept appointment as independent adviser. Attempting to gag scientific advisers in this way, if successful, deprives the public of knowledge about the basis for government decisions and their pros and cons, knowledge to which the public is entitled. It is also in breach of the scientist’s right to freedom of expression. An unpaid independent adviser is not a civil servant. 3. If a minister chooses to reject the advice of his scientific advisers and to act on the basis that the scientific grounds for their advice were invalid, flawed or unreliable, or that more reliable contrary evidence was available from elsewhere which the minister judged to be superior to that used by his official advisers, is he right to go ahead without publicly setting out the reasons for that decision and the contrary scientific evidence on which his decision is based? If Johnson had solid scientifically-based evidence that justified returning cannabis to class B despite the scientific findings of his official advisers, he should surely have presented it to the Council and sought their revised opinion after studying it, instead of insisting that he knew better than the Council — and sacking its chairman. Since he has so far failed to put forward any scientifically-based evidence for rejecting the council’s advice, he is bound to be open to the suspicion that leaving cannabis in class B is designed to “send a message” that the government is “tough on drugs” and to pre-empt the ignorant populist accusation by the tabloids and the Murdoch press that on the contrary the government is “soft on drugs”. Finally, I don’t accept the implication at several points in your comment that Nutt’s (or anyone else’s) judgement of the scientific evidence on the relative harmfulness of cannabis is undermined, or shown to be prejudiced, by evidence that he favours legalisation of soft drugs. Nor do I accept your implied view that those favouring decriminalisation (perhaps a more accurate term than legalisation) are thereby disqualified from holding an independent, scientifically-based view on the relative harm done by various drugs or from giving advice to the government and the public based on that view. Your accusation that “a notorious [sic] cannabis legaliser”, whom you name, has conspired to “rig the evidence”, combined with your imputation (disguised as a question) that Nutt had ‘organised’ this, at public expense, is so speculative as to amount to a smear. The fact that Simon Jenkins, on the basis of personal involvement in the issue, favours decriminalisation has no bearing whatever on his praise of Professor Nutt or his acknowledgement of Nutt’s eminence and expertise, based on personal experience of working with him. Similarly, your reference to “the pharmceutical [sic] companies with which [Nutt] is so closely linked” strikes me as at best questionable on your part. For all these reasons I have had serious doubts about the wisdom and propriety of accepting your comment for this blog. I have done so only on the clear understanding that I dissociate myself, and this blog, from any suggestion of impropriety on the part of Professor Nutt or any others named or quoted in your comment. These useful nuggets emerge from a short but revealing report by the Guardian‘s Andrew Sparrow in the 9 November 2009 issue and also on the Guardian‘s online edition here. 1. Professor Nutt gave his lecture at King’s College London on July 14, 2009 and not last week as the Home Secretary claimed. The Home Office sent representatives to the lecture at the time. 2. Professor Nutt did not attack the Prime Minister in his lecture, nor did he do so in his paper, published by the Centre for Crime and Justice Studies last week. 3. The Home Secretary continued to confuse Professor Nutt’s ACMD role and his role as an an independent academic. Professor Nutt gave his lecture and published his paper as an independent academic, not as the chair of the ACMD. The Home Secretary’s suggestion that Professor Nutt should have cleared his paper with the Home Office prior to its publication is therefore incorrect and inappropriate. It seems to be time for the Home Secretary, the normally amiable Alan Johnson, finding himself in a hole, to stop digging. would the legalisation and taxation by the government of all drugs ease the current financial crisis this country is in without the need to find this money elsewhere? Brian writes: Thanks for this, Steve. It’s an interesting thought. Of course there would be some cost involved in not just legalising but also strictly regulating the sale and use of drugs, but that cost might well be more than offset by taxes on the softer ‘recreational’ drugs, like those now levied on alcohol and tobacco. If such taxes were to be high enough to deter the purchase and use of the relevant drugs, however, and if the deterrent effect were to be effective, that would result in a reduction in the revenue from the taxes. In any case, I can’t imagine revenue from taxes on drugs coming anywhere near the level needed to reduce, still less eliminate, the gigantic deficit which the government is being forced to run in response to the crisis visited on us by the bankers and other financiers. Perhaps the drugs tax could carry a special surcharge when paid by bankers, who might well be the biggest drug users, I imagine.